The new render is identical to the previous One except for the color change, including dual rear cameras, a dual LED flash module, virtual navigation buttons, and body that's extremely similar to the original model. This dark gray option is distinct from the silver/aluminum look that HTC has used for the standard One/Mini/Max "hero" shots - in fact it's nearly black. Perhaps "gunmetal" would be a more precise term for the hue. We're expecting the new phone to be available in multiple color options depending on market and carrier. 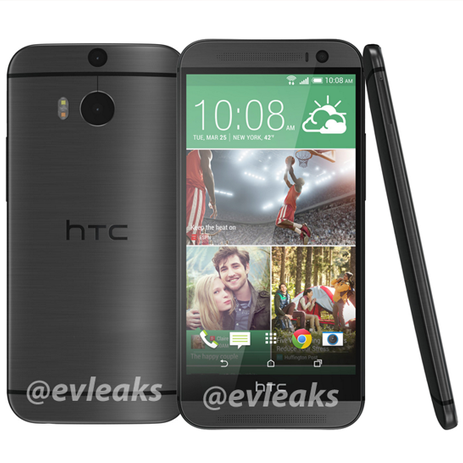 Earlier leaks showed a more typical light gray and a glossy silver, though one of those may have been a "New" HTC One Mini. HTC is not expected to reveal a new flagship at Mobile World Congress next week, since the company has not yet announced a major press conference for the show. 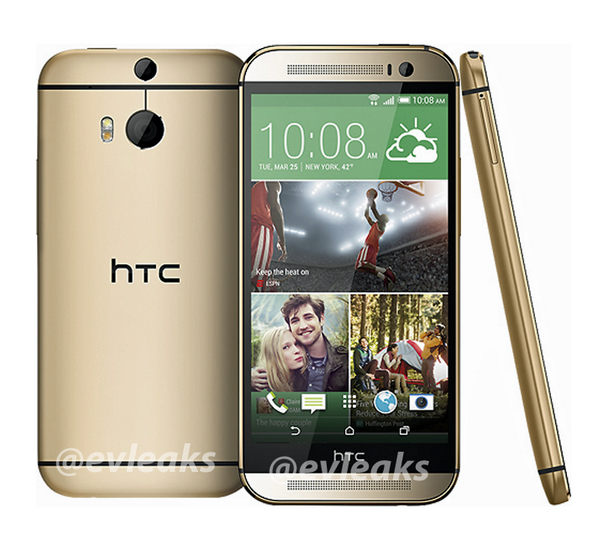 More general phones, like the recently-leaked Desire 8, may show up in Barcelona.